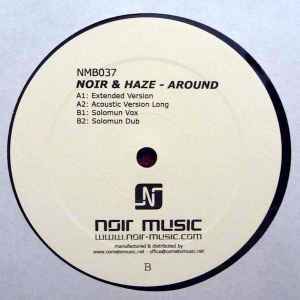 An all time classic tune and must have for all house lovers - thanks Noir & Haze for this one!!! One of the house hits of this year, the "Solomun Vox" remix is a sure floor-filler, heard many times played by varied jocks, and always vibin' a party. Then you listen through headphones and realize that it's actually a quite approximative, generic midtempo indie discoid before-or-afterparty vibe with 'soulfully drugged' vocals (ie a little high-pitched at times, a little offkey and a little embarrassingly overacting), menacing synthline somehow reminiscent of Steve Bug & DJT's "Monsterblaze" from a few years ago...one for party/dancefloor enjoyment but not detailed listening then.